It takes an entire village of helpers to create the largest critter festival in the region, and we'll need plenty of help to make 2019 a success! Learn about all of the ways you can get involved in this upcoming event. Calling on All Critter Friends! If you're interested in participating in the 2019 Southeast Bunfest as a volunteer, you must first register as an HSTC volunteer and attend a volunteer orientation. You can learn more about becoming an HSTC volunteer here. Please click here for an HSTC volunteer application. Reach more than 1,000 potential new customers by becoming a vendor at Southeast Bunfest. by phone at 772-600-3211 or by e-mail at czanetti@hstc1.org. Become a Southeast Bunfest vendor today! We enjoy building relationships and collaborating with other like-minded organizations to best serve animals in need. share our ideas, knowledge and experiences to build a stronger critter community! contact Sara Kornegay at 772-600-3208 or skornegay@hstc1.org. by phone at 772-600-3220 or by e-mail at erecco@hstc1.org. Tampa Bay House Rabbit Rescue Inc.
while gaining high ROI advertising and web exposure. by phone at 772-600-3216 or by e-mail at ccallahan@hstc1.org.  Become a Southeast Bunfest event sponsor today!